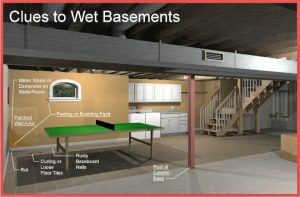 A major complaint among home owners is the musty smell, dampness and water damage that are signs of a wet basement or crawl space. In this country 60 percent of all houses suffer below ground wetness. Within the first 20 years there is an 80 to 90 percent chance of leakage within block foundations. 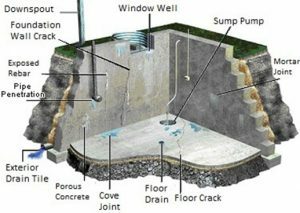 It is very common to have 2 cracks in new concrete basement construction. This is easily repaired from the exterior. Dampness develops from three main areas. First, direct leakage is a result of poor ground surface drainage outside the house. Sometimes pipes in poor repair may account for leakage. 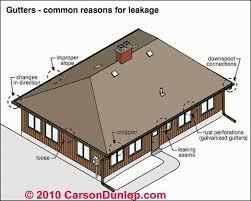 Secondly, seepage; water can seep through supply pipes, or the pipes in crawl spaces. Lastly, condensation (a result of warm air holding more moisture than cool air) can add to water vapour forming on colder surfaces. Simple solutions may offer relief from water problems. Listed are a few suggestions for a routine maintenance check around the exterior of your home. Slope the adjacent ground away from the house at a grade of approximately 1/2″ to 1″ inch per linear foot. Poor grading or improper back fill are the most common causes of seepage and leakage. Gutters and downspouts divert water away from foundation walls. Make sure the gutters drain and slope properly towards the downspouts. Clean as needed and maintain periodically. Downspouts should extend 8 ft. from foundation for a basement, 4 ft. for a crawl space. Install splash blocks, downspouts elbows with above ground piping or downspout extensions. Check that patios, driveways from foundation walls, 1/4″ per linear foot. Seal cracks between foundation walls with a flexible material such as caulking. Test underground drain pipes with water from a garden hose to determine whether they are functioning properly. Have clogged or broken underground drainage pipes repaired, or abandon them and install splash block, downspout elbows with above ground piping or down spout extensions. Sprinklers near the house should be checked to ensure that water is not being sprayed against the foundation. Be sure they do not spray into crawl spaces. 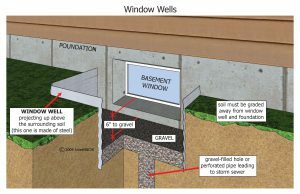 Stop water entry through basement windows by maintaining window wells that are at least 4 inches above a positive grade away from the house. Inexpensive plastic domes can often help keep window wells from filling up with leaves and debris which can hold water. Remove sunken flower beds close to the foundation walls as they may retain water. Keep exterior cellar stairwells, drains and doors clear of leaves and debris that can hold water. Listed below are a few suggestions for a maintenance check around the house interior to offer relief from water problems. Seal any minor cracks in foundation walls and joints against seepage. If the basement or crawl space has a dirt floor, cover it with a sheet of 6 ml. 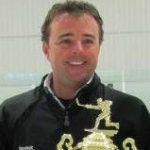 polyethylene to help reduce ground moisture and humidity. Prevent sweating or dripping from condensation by wrapping cold water pipes, well pressure tanks, and air conditioning ducts with insulation. Use a dehumidifier when humidity is high. Vent any below-grade level bathrooms or laundry areas to the outside to control moisture accumulation. REMEMBER before trying any major remedies, try regrading low areas in order to develop a positive slope away from the house. Keep in mind the following suggestions which may help you in this area. Remove any soft soils or porous materials, such as top soil, mulch and wood chips, from low areas around the house until you get down to the more dense clay soils. Bring in clay, a dense brown/orange soil, and fill the area close to the house. Develop a positive slope away from the house at approximately 1/2″ to 1″ per linear foot. Be sure to tamp the new clay properly so that it will shed water away from the house. After this clay shelf is complete, put back the top soil to prevent erosion of the clay and to grow grass and shrubs.